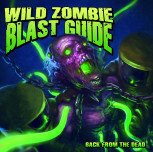 The Return Of Thrash Metal! 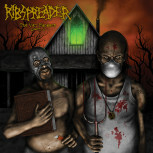 Classic Old School Thrash Metal seems to be experiencing its renaissance these days. The Greeks of Exarsis, however, are among the representatives of the genre who have kept the flag of Thrash Metal up even in times when it seemed far less popular in public perception. 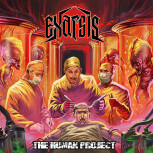 Since their 2010 demo, the guys are on the road and have released two highly-acclaimed albums with "The Brutal State" and "The Human Project" in 2013 and 2015. These have led to concerts and tours with bands such as Suicide Silence, Fueled By Fire, Anthrax, Judas Priest, or as now on the occasion of the release of the new album with Onslaught and Artillery brought. 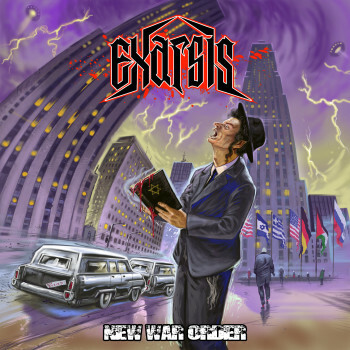 With "New War Order", Exarsis release an album, which lets every Thrash Metal Maniac click his tongue.The Greeks do not stingy with neckbreaker riffs and dizzying solos, which should lead every fan of this genre to create some space in his record collection between Overkill, Nuclear Assault, Vio-Lence an Anthrax "New War Order" was recorded again at the D Studios in Athens and mixed and mastered by Mike Karpathiou. 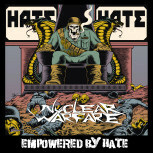 For the artwork is, like on the previous albums, Andrei Bouzikov (Municipal Waste, Toxic Holocsaust, Cannabis Corpse etc) responsible.